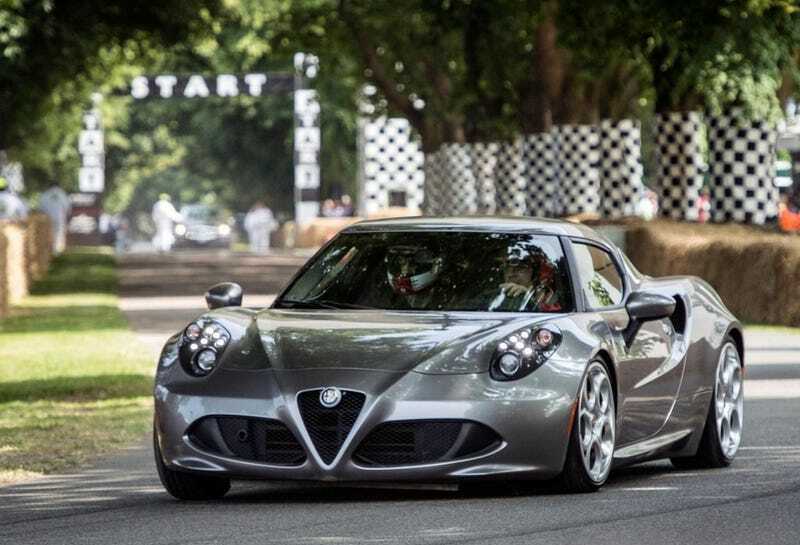 Why the Alfa Romeo 4C could be my new favourite sports car. I'm working really hard here, trying to remember a time when we had such an awesome choice in cool new sports cars. I'm only able to really recall back to the early 90's from Japan and Germany or the 1960's from Europe and America. Whether it was the XKE of '61, the 911 of '64, or the Alfa Romeo GT105/115V's from 1967, there was a lot to look forward to in the 60's. That's completely bypassing the gorgeous Miura, Ferrari 250GT series, or the awesome Corvette Stingray. For the 1960's, we really had it made in terms of a variety of fun. Even Japan was getting in on the mix with their 2000GT, S30, and S800's. The 60's was the decade for drivers cars. But when the 70's finally smogged their way into our lives, and then the 80's choked all the smog away with their safety, we were left with an early 90's boom that seemingly only Japan and Germany could overcome, coming out with great products such as the E30 M3, RX-7 FD3S, NSX, and E34 M5. The 90's were good too, but they were clearly a decade for these two respective countries. That's why I'm so darned excited about today. Today we have everything from the BRZ, to the C7, to the GT-R, to the Cayman S, to the V12 Vantage, to the new California T, and so much more. Never have we ever been so inundated with such a broad selection of fun, semi-exotic/exotic sports cars to choose from. And that's where the F-Type, 911, and 4C come in. With the F-Type Coupe R, it'll be very interesting to see just how tail happy it'll be, all the while managing to modulate a ridiculous 495 raging Yorkshire ponies out of it's well trained, but not so well mannered V8. All the while, it'll be sliding sideways in a suit befitting James Bond himself, with possibly one of the prettiest designs ever to come out of Coventry lane. And you know what? All this outrageousness is not too terribly expensive when you consider what class of vehicle it's in. This particular car could go head to head with a California T, no problem. A true luxury, sporting GT in the purest form of the word, with the beauty to match. Of course, you can't think of a luxury sport GT without thinking of the 911. Ever since the 991's introduction in late 2011, it's been on my wish list. I've driven a couple, but I'd really like to give a 400HP C4S a good wringing out. For a car that offers so much for so little (comparatively, and this is of course purely subjective - whoa down there Corvette enthusiasts) it has kept it's reigns in control since it's 1964 nameplate introduction. Of course, we'll "casually" try to forget about what happened between 1999-2004. Not that there was anything wrong with the 996, but I think I speak for a lot of people when I say the car hasn't exactly aged well. But alas, the water cooling issues seem to finally be ironed out, it has more power, and more luxury than ever, and it's faster then ever as well. All this could work out very well in its favour, especially with a 7 speed manual doing all the talking. But if you're looking for the most visceral "talking" experience, the final choice, the 4C, might be the one to take home to the parents. With only 240HP to throw the thing around, it seemingly comes into this 400+ dogfight up a creek without a paddle. But that's where I think this car will really shine. I don't personally think it goes head to head with a Cayman S, despite what it's performance figures may suggest. I think Alfa is going for the big dogs, and just like Porsche did with their Carrera coming before their GT3, I suspect we'll be seeing a lot of iterations of the 4C in the future that will further enhance it's already incredibly stiff frame, and offer it's little engine that little bit more oomph. At 4.4 seconds from a dead stop to 60, and a 160MPH top speed, what this car brings to the table at its price range is great. It's lightweight is the big killer here, coming in at 600KG less than a C4S (900 vs 1505) and a whopping 765kg less than the Jaaaaaaaaaggggg. So what the 4C lacks in luxury, it should make up for in terms of driving dynamics and capability. And while I think the 911 and the F-Type will really sweeten the deal with their luxury, it'll be interesting to see at the end of the day if all out driving feel outweighs my urge to keep my bum warm in cold weather, or to fiddle with an annoying navigation system while my girlfriend gripes me to get moving and get to her parents place. I think what the 4C will offer, that will push it out of the realm of the 911 and F-Type level, will be the urge to get out there, and just drive. And that's why it's the first on my list of cars to test come Summer.